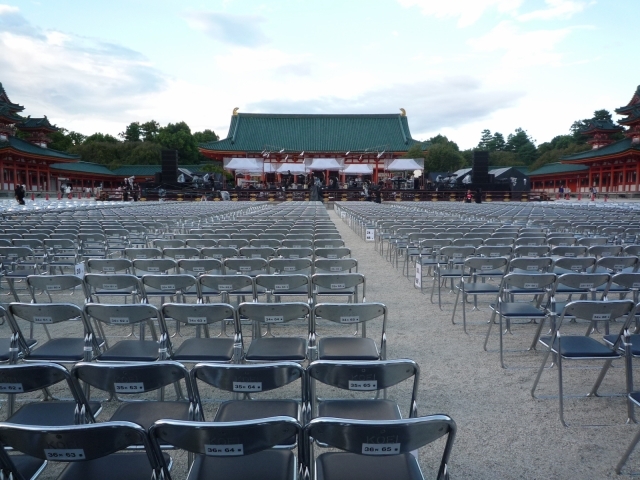 TSUYOSHI DOMOTO's open-air concert at Heian Jingu ended in great success on last Sunday. 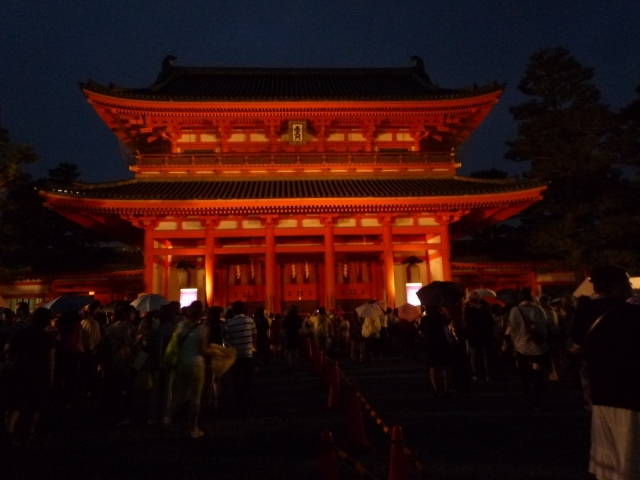 Heian Jingu is a Shinto shrine in Kyoto that is listed as an important cultural property of Japan. 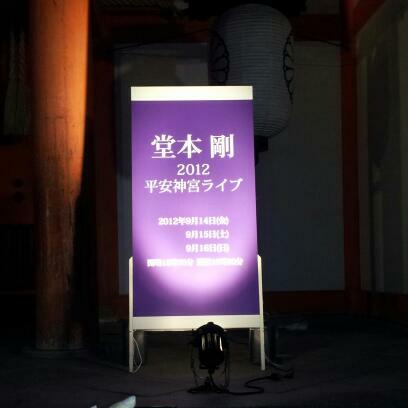 TSUYOSHI has held his concerts there every year since 2010. TSUYOSHI appeared on the stage with a mask and opened the concert with a unique dance, which suggests Japanese classical music drama, "Noh". Followed by 'shamanippon' with his guitar, TSUYOSHI not only sang his original songs but performed some instrumentals at the piano, guitar and bass guitar too. The stage was lighten up with colourful laser during the performance, and created a unique scene with the precinct of the shrine. Approximately 5000 audience thoroughly enjoyed his music and the ambiance of the sacred place while feeling comfortable wind of autumn under starlit sky. TSUYOSHI said the theme was "as ONE". He sent a strong message to the audience, 'Go with your own will. Though people try to give an answer in yes or no, think in neutral and give your own answer." TSUYOSHI put thought of beautiful Japanese love and the peaceful prayer in music, powerfully and gently. 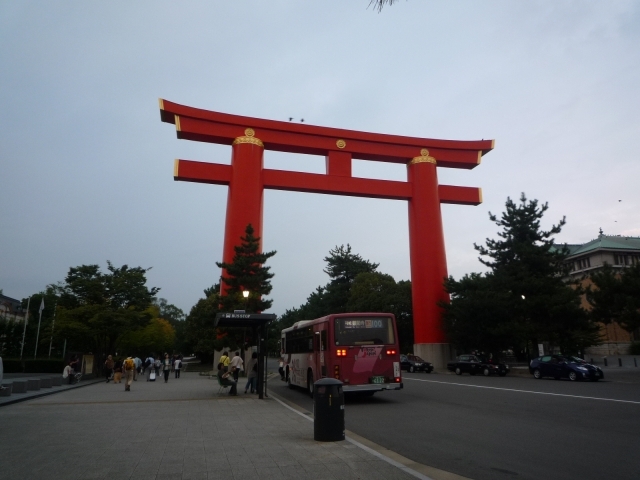 On the last day, TSUYOSHI proudly said that he received a great compliment from the shrine about his fan being well-mannered. The fan must have felt honored to hear it. TSUYOSHI closed the concert by leading the audience to do a Shinto prayer; a sequence of 2 bows, then 2 claps, hold a second and a closing bow. 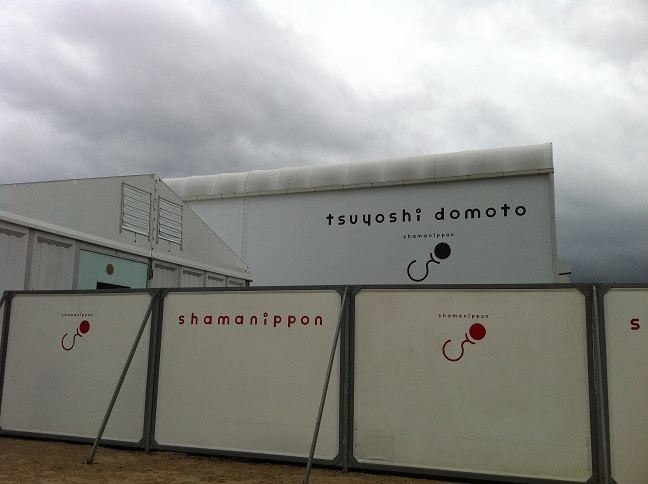 The theatre "shamanippon ship" is built specially for this concert tour in Nara, where Tsuyoshi's hometown. It means a lot to him as Tsuyoshi always says "neither +(plus) 1 nor -(minus) 1, but ZERO." The ship has taken a departure from ZERO. When all the concerts are finished, where would it be? Every time after the concert, hundreds of tweets are spread among fans to share the details of the concert such as the set list, messages and actions of TSUYOSHI. Here are some episodes that I knew from twitter and like to share with you. TSUYOSHI usually has a talk-session a few times inbetween songs. TSUYOSHI and his band members are very relaxed and freely have a chat and make jokes on stage, sometimes even with fans. Moreover, TSUYOSHI actually steps down from the stage and goes for "a short walk" with his guitar along the alley between the audience. It is of course extraordinary for such a big musician like him to approach so close to fans during performance without security guard. Fans go crazy and it causes chaos, you guess. But not with his fans. As much as all the fans are excited and screaming as TSUYOSHI approaches, there is actually no one has tried to cross a border and distract him by touching or stepping into his way. Both TSUYOSHI and fans feel the bond and trust there, I believe. To prove it, TSUYOSHI even takes a step closer (as close as you can feel his breathe, they said!) to fans and tries to communicate with fans by dancing together, mischievioisly looking into the eyes of fans in tears, giving flying kisses, letting a small boy touch his guitar, sitting down on one of the audience seats to play guitar and more. 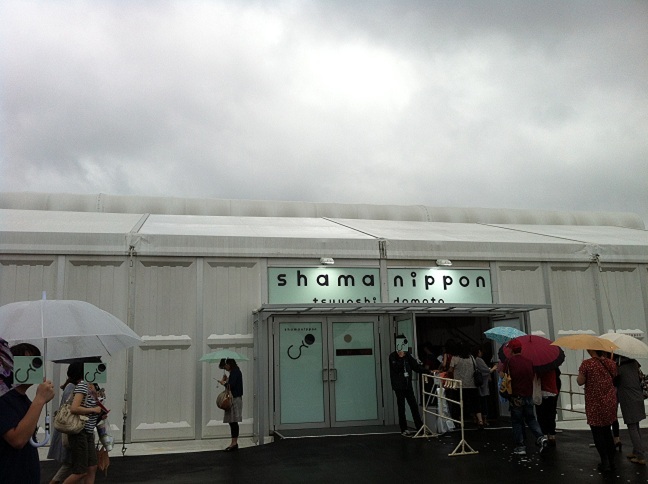 Almost every time after the performance, Shama_nipponjin on twitter tweets something. 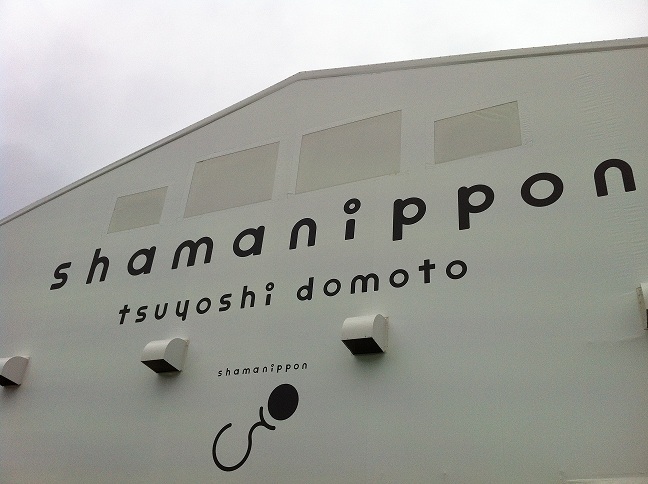 It's not clear if it is TSUYOSHI himself or one of the staff that tweets, but he always sends his appreciation for us to be a part of shamanippon ship. 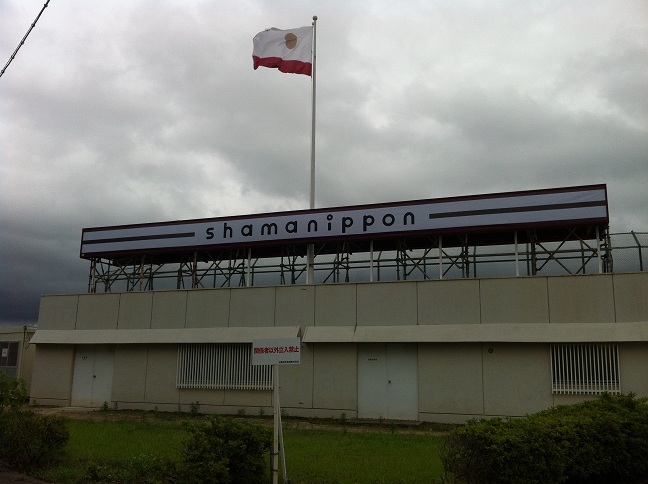 I have not got onto the ship yet, but with all the episodes spread on tweeters and the message and photos from shama_nipponjin excite me and make me feel almost like I was actually there with them every night. I hope I was able to share the excitement with you here. I will be back after my ride on the ship soon!